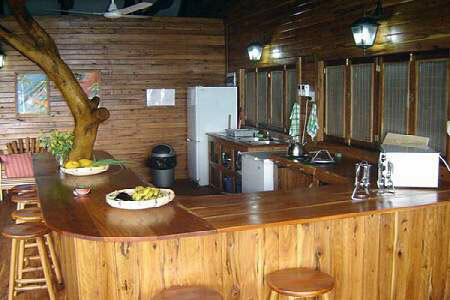 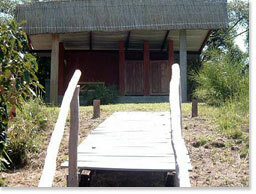 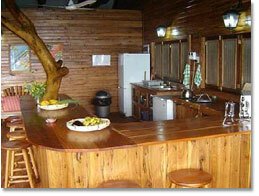 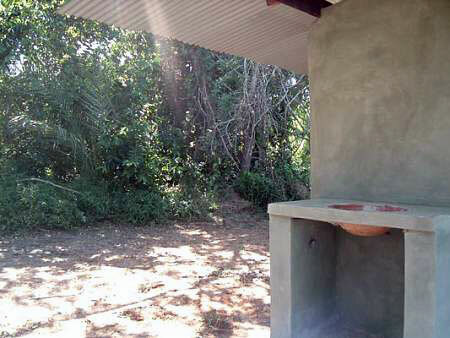 Welcome to Caju Afriques fully equipped self-catering lodges on the waters edge of the Rio Inharrime River. 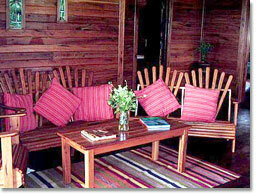 The lodges are very well maintained and everything is supplied from the bed linen to the bath towels. 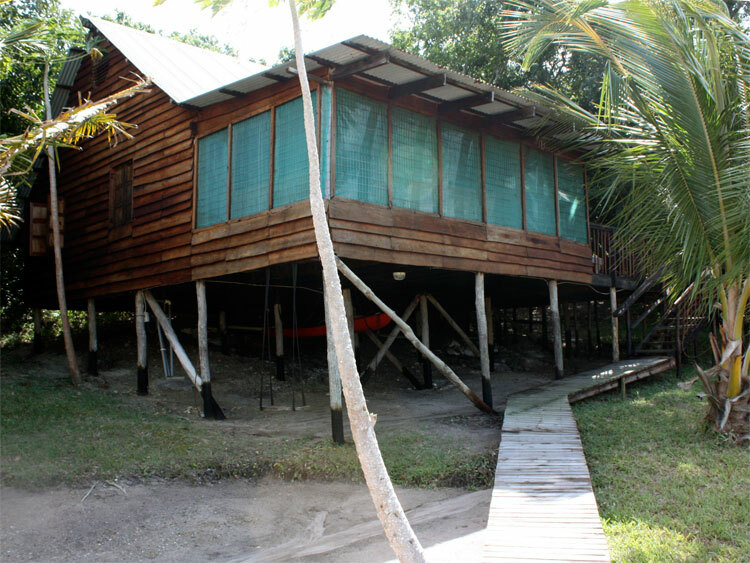 The only thing you need to remember is to bring your own beach towels! 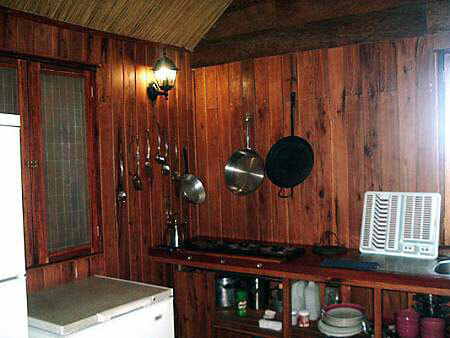 The kitchen has everything you could need for your get-away and the lodges are serviced daily by our friendly and helpful staff. 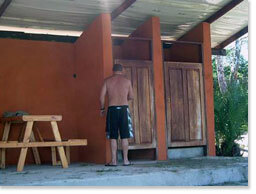 The staff will also gladly do any washing that you require. 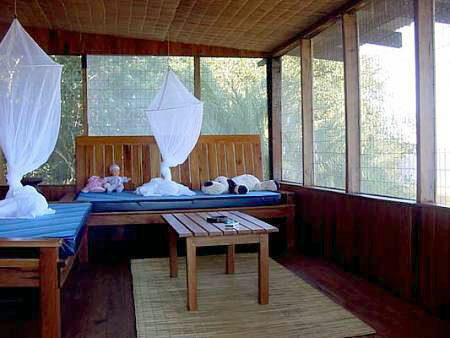 Every bed has a Mosquito net and the windows are covered with protective screens. 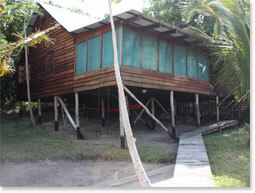 Each lodge has its own private jetty and a private beach that over looks the Rio Inharrime River. 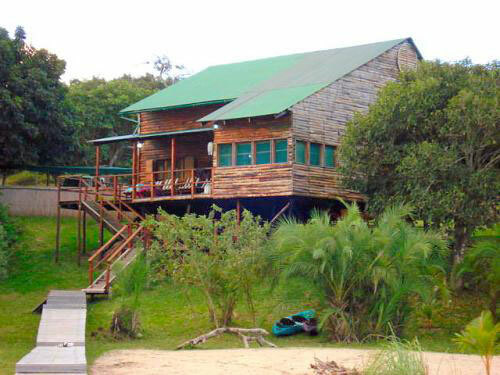 There are kayaks / canoes with lifejackets to explore, or fish the river. 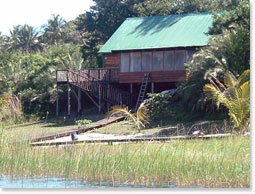 Transfers are available from the airport at Inhambane. 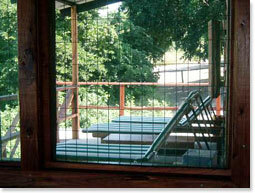 There is sheltered parking at each lodge and security. 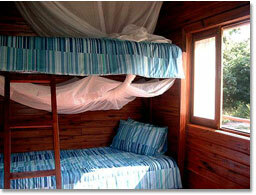 This is truly amazing accommodation in Mozambique. Lodge One comfortably sleeps 1 - 6 people. 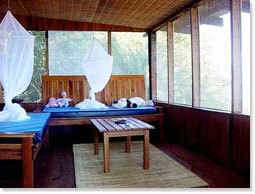 There are two rooms that have a double bed in each and then there are 2 single beds out on the front enclosed porch. 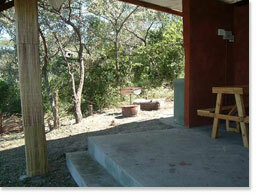 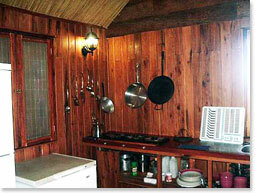 Lodge Two offers self-catering accommodation for 2 - 6 individuals. 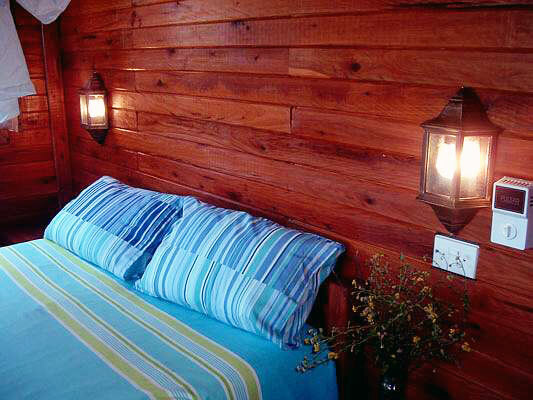 This fully equipped, stylish lodge is the ideal holiday venue in a quiet, tranquil paradise. 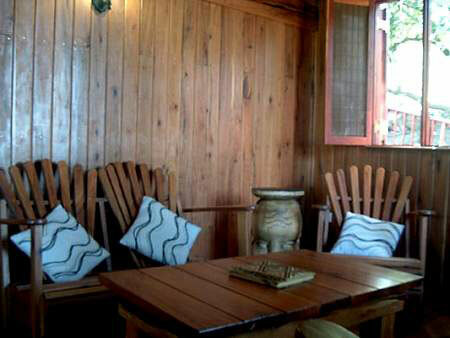 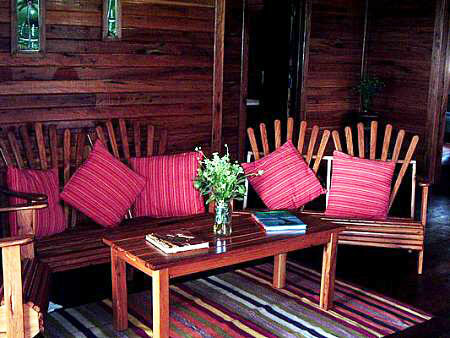 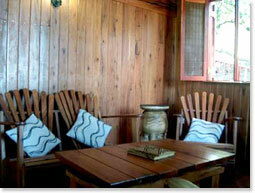 This large self-catering lodge accommodates between 3 -12 individuals and is ideal for a family holiday or even friends. 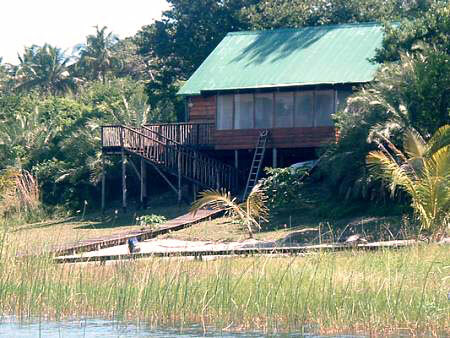 The lodge enjoys a large fully equipped kitchen and lounge with 3 bedrooms with an enclosed porch that can accommodate 2 guests. 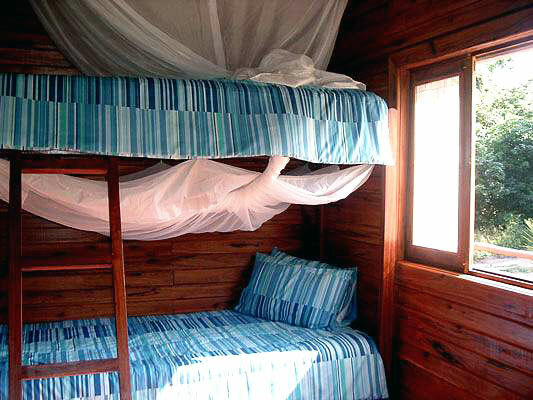 There are two bedrooms with a double bed in each, and then a third room that has 3 bunk beds in it, that can sleep up to 6 people. 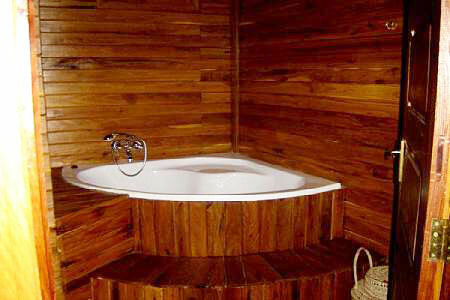 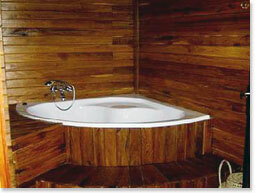 The lodge has two bathrooms, both have a spa bath and a shower in each. 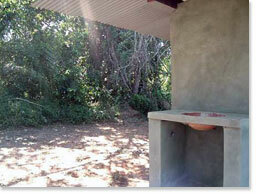 For those that prefer the more down to earth experience, Caju Afrique offers two well equipped campsites. 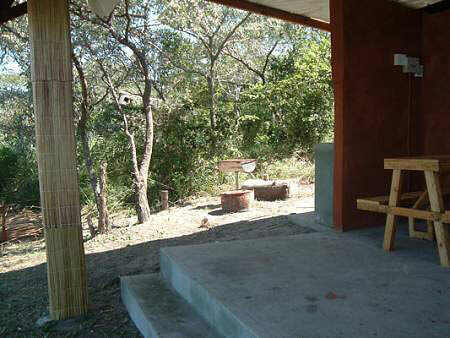 Each campsite has its own thatch gazebo encasing a hot water shower, wash up basin, power points and picnic tables. 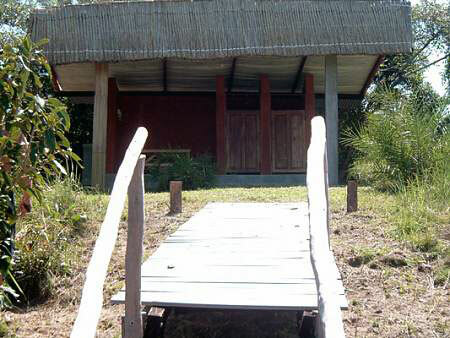 Each camp has its own jetty onto the water. 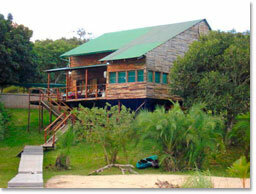 Transfers are available from the airport at Inhambane. 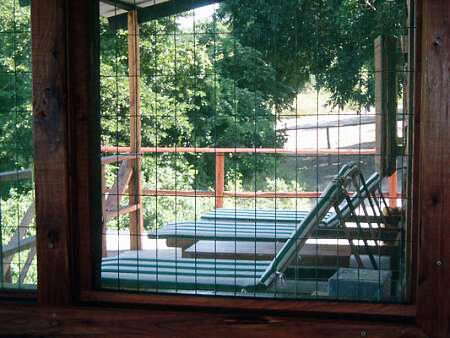 Sheltered parking is available and security.